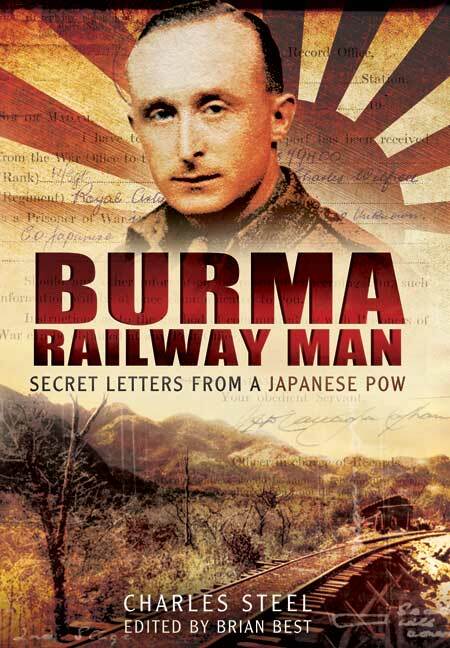 You'll be £7.99 closer to your next £10.00 credit when you purchase Burma Railway Man. What's this? Charles Steel took part in two military disasters - the Fall of France and the Dunkirk evacuation, and the Fall of Singapore. Shortly before the latter, he married Louise. Within days of being captured by the Japanese, he began writing a weekly letter to his new bride as means of keeping in touch with her in his mind, for the Japanese forbade all writing of letters and diaries. By the time he was liberated 3 1/2 years later, he had written and hidden some 180 letters, to which were added a further 20 post-liberation letters. Part love-letter, part diary these unique letters intended for Louise's eyes only describe the horror of working as a slave on the Burma - Siam Railway and, in particular, the construction of the famous Bridge over the River Kwai. It is also an uplifting account of how man can rise above adversity and even secretly get back at his captors by means of 'creative accounting'!. Now, we can share the appalling and inspiring experiences of this remarkable man. Captured when Singapore fell, Battery Sergeant Major Charles Steel spent three and a half unpleasant years as a prisoner of the Japanese, first in Changi and later working as a slave labourer on the Burma Railway, where he was involved in the construction of the famous Bridge over the River Kwai. During this time he wrote no less than 183 letters to his wife, none of which were posted as letters and diaries were prohibited on pain of death, yet despite the risks he felt compelled to write them to keep her at the centre of his thoughts and so endure the dreadful experience. With background and explanatory notes, these letters are all presented in this book and describe all manner of aspects of life in the camps; not simply a catalogue of work carried out, atrocities witnessed, disease and starvation overcome, but a colourful account of the characters he met and even his moments of administrative revenge. Together they not only make a brilliant diary of the period, but also demonstrate how prisoners coped in the face of adversity.